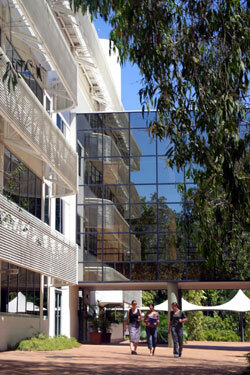 An agent from Charles Darwin University Casuarina Campus, will contact you shortly with more information. This combined degree will provide graduates with a thorough knowledge of tourism management and environmental science. Students will acquire a broad base of theoretical knowledge and practical skills to enable them to gain professional employment in private or public organizations, or to proceed to higher levels of research training. Innovative and flexible teaching methods have been designed to enhance the overall learning experience, and to develop key attributes such as the ability to think creatively, solve problems, work effectively, independently or in teams and be sensitive to and understand other cultures and environments. The Environmental Science (Environmental Management) course is a professionally oriented, multidisciplinary course that enables students to acquire a broad base of theoretical knowledge and practical skills in unique environments of the Northern Territory. It includes a strong focus on environmental science and management in tropical and desert environments in the Australian and Asia-Pacific region. The environmental component of the course provides students with a thorough knowledge of environmental science and management, together with the ability to access information efficiently and apply scientific methodologies. Students also explore the wider significance of human impacts on environmental change, including climate change and variability, population pressure and resource utilisation, water resources, invasive species, loss of soil health, modified fire regimes, as well as relationships between people and their landscapes. The tourism component of the course provides students with the essential knowledge and skills to progress towards managerial roles. A sound knowledge of the tourism industry is provided with a particular focus on the management of tourism within tourism businesses, markets, communities, regions and destinations. Areas of environmental significance in terms of nature based, eco based and cultural based tourism are also emphasised. A combination of international and local resources is used to enable students to develop a comprehensive knowledge of the industry. Industry experience is encouraged. Graduates of this combined degree are awarded both the Bachelor of Business in Tourism Management and the Bachelor of Environmental Science (Environmental Management). This course is no longer available for admission. It is only open to existing students who have already been offered a place and completed one or more units of study. In order to graduate from this course, students must complete common units, core units from the Bachelor of Business in Tourism Management. Students may then select a study pathway from the range of electives offered. The course structure reflects the international and local tourism industry and the relevance of the environmental issues in managing today's tourism industry. The Environmental Science (Environmental Management) course consists of core units that are common to environmental science studies in the School of Science and Primary Industries. Students then select a study pathway from the environmental management specialisation options offered as well as electives from any area of study within the University. The course structure reflects the wider significance and relevance of environmental issues confronting society today and its flexibility enables students to develop study pathways for a variety of career choices in areas of environmental science and tourism management - particularly in relation to nature based tourism. The information provided for this course was valid for the final year of enrolment. Students continuing in this course in 2007, 2008 or 2009 may find there have been some changes to the unit availability. Students should, in the first instance, refer to the recommended study plan in the newest version of this course to make their unit selection for 2009. Every re-enrolling student will be able to complete their current course of study. As a continuing student you should always consider transferring to the newest course version to enable you to take advantage of new and exciting changes to university programs. A candidate must successfully complete units totalling 320 credit points as detailed below. All units are worth 10 credit points unless indicated. Select Common Units to find out more about individual units or Advanced Standing options. Units totalling 60 credit points selected from units offered by the University. Students may select additional units from one of the approved sequences as electives if desired. · Not more than 40 credit points shall be included with a grade of "PT" or "PC" or "PS"
Unit Repository – provides general information about each unit including a brief description and the semester and mode offered. Timetables – provide detail on the individual class times for units offered internally. Timetables for the following academic year are available from the middle of December each year. 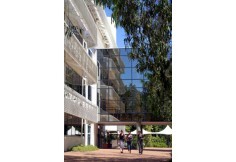 Bookshop – if text books have been prescribed, recommended or ordered for units in this course, details are available by unit code through the Casuarina Campus Bookshop.